This ring features a hand-painted cabochon, you can see the colors change through the whole color spectrum. The background also has some holographic pigment that will sparkle like rainbow dust in the sunlight. 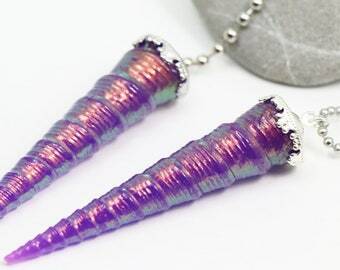 Set in a gunmetal or silver ring setting, the hand-painted cab is 20mm wide. Note that not all rings have the same exact swirl design, this is just one of the rings as a sample. 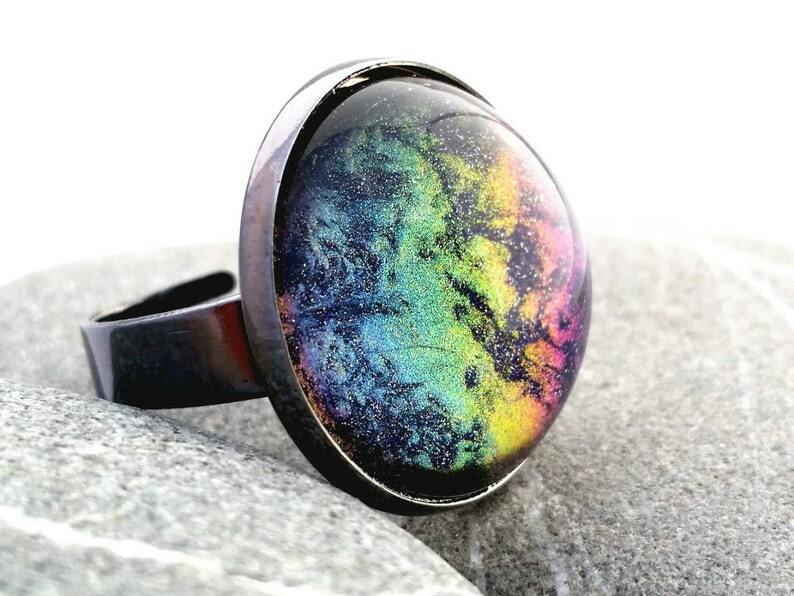 This ring is hand painted, using a technique similar to the popular nail polish jewelry making rounds on Etsy. My creations are the most unique you will find because I add extra powders, glitters, flakes and layers. I don't just paint from a jar of nail polish and sometimes it's not nail polish. I also like to use high domed cabs and vintage cabochons that are faceted to let more light in which will brighten the colors and make the shimmer or glitter's flash more dramatic.